The Wild flexed its prowess on the penalty kill during its five-game win streak, yielding just two goals despite being shorthanded 21 times. But being tested that much is dangerous. Add in a power play that’s sputtering, and the combination Monday was a 5-2 loss to the Canucks at Rogers Arena that snapped the team’s streak. Boudreau did make some in-game adjustments; he moved center Eric Staal to the Jordan Greenway-Matt Read line and had center Charlie Coyle take Staal’s spot next to Jason Zucker and Nino Niederreiter. 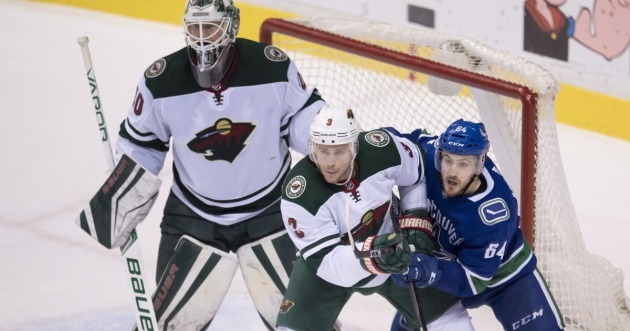 But amid a string of more penalties, the Wild couldn’t claw its way back. Overall, it put the Canucks on the power play four times and Vancouver converted once. As for the Wild’s usual top-two lines, they racked up a total of 13 shots but no goals. Despite the loss, there were a few bright spots that the Wild can try to build off when it finishes off the back-to-back Tuesday in Edmonton against the Oilers. Greenway looked revitalized after his two-game tune-up in the minors. He scored his first career regular-season goal and put three shots on net. Winger Mikael Granlund continues to be around the puck, as he notched his 10th point to extend his point streak to eight games. And although the power play capitalized just once in five tries, it was active – racking up 10 shots on net.